If you’re a young adult who is thinking about financial planning, you’ve stumbled upon the right blog post. We love encouraging our readers to get financially- fit and savings savvy. Starting a proper financial plan now will give you a jump start on your future. Ready to get your finance on? 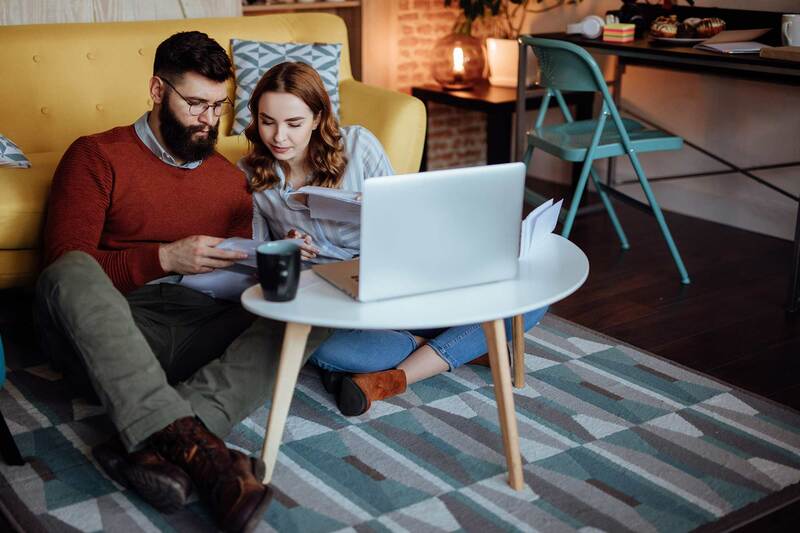 Here are tips for millennials and Gen Z to get started on financial planning. Although there are many ways to start putting away cash, but it’s not always easy starting out. According to CNBC, “46% of millennials have NOTHING in their savings, and 21% have less than $1,000.” The majority of this demographic doesn’t even have enough to set aside to fix their car if it breaks down. Want to be the exception? Save, save, save! It’s okay to start small by putting a little extra cash here and there for an emergency cash stash, but what if we told you that you could automate your savings? Have you ever heard of the app Acorns? This cool app links to your bank account and with each purchase, rounds up to the nearest dollar, taking the spare change and setting aside. Now that you have something to work with, start setting goals for your savings. Ideally, you would want at least 3 months’ salary set aside. Start putting 20% of your post-tax income towards savings. This combined with spare change will launch your revamped savings account. If you have any questions about putting 20% aside for savings, read our blog on the 50,30,20 Rule! Start taking a look at your daily routine and be sure to remember that there is almost always a cost for convenience. Let’s break this down. Before getting to work, you might head out to purchase a cup of coffee and breakfast from your local coffee shop. Later in the day, lunch rolls around and you snag something from a local restaurant. Next up, dinner time approaches and you finally have a minute to cook food from home. How much money did you spend just in feeding yourself throughout the day? According to The Simple Dollar, “The average American spends $232 per month eating out with 18.2 meals eaten out per month.” Cutting this down to 1 meal out a week would save you an average of $180. Getting into the simple mindset of “is the convenience worth the cost”? can end up saving you hundreds of dollars throughout the course of a month. Making your own meals, brewing your own coffee and holding off on buying that new video game, are all ways to better your financial state and build your savings. Once you have these two categories separated out, you can start to make cuts where additional spending is unnecessary. If you need internet, shop for a lower cost plan. Save on car insurance with a different company. And if you’re a Starbucks fanatic, try getting crafty with your coffee maker at home for a while. Being young can be tough, but your financial future doesn’t have to be. Even if your credit score is lower than you would like it to be, you do have personal loan options. A personal loan can even help improve your credit score. By taking out one of our personal loans. you can make affordable monthly payments and build your credit story by making on-time payments each month. As you continue to make your payments on-time, you build your credibility and your credit history.Apply today!